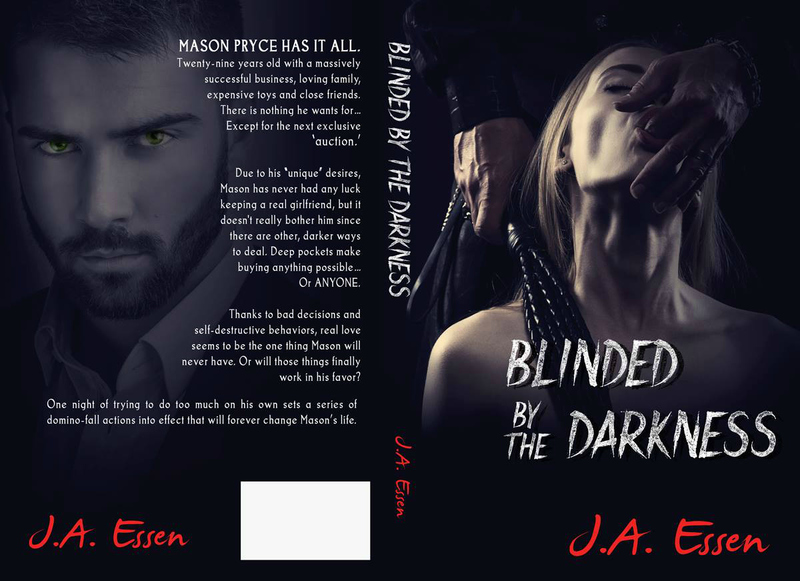 Due to his “unique” desires, Mason has never had any luck keeping a real girlfriend, but it doesn’t really bother him since there are other, darker ways to deal. Deep pockets make buying anything possible… Or ANYONE. Thanks to bad decisions and self-destructive behaviors, real love seems to be the one thing Mason will never have. Or will those things finally work in his favor? One night of trying to do too much on his own sets a series of domino-fall actions into effect that will forever change Mason’s life. There are only three of us tonight vying for a unique distraction. When Victoria opens the door, two thoughts cross my mind at the same time. ONE, there’s only one girl, and this could get costly and TWO, this may possibly be the most beautiful creature I’ve ever laid eyes on. That being said, I slightly stumble over my own feet as I make my way into the room. Fortunate to be at the back of the group, no one notices. She’s standing in the room wearing a purple leather open-cup bustier, matching blindfold and nothing else. We all make our way around her to examine the possible purchase. She’s quite tall, probably pushing six feet. Her beautiful, tanned body and raven black hair are such a far removal from my usual likes. Her skin is flawless save for a small scripted tattoo on her right shoulder: I vincet. Latin most likely. I’ll have to look it up. The bidding begins at one hundred thousand, and I could care less. I don’t even pay attention to the escalating price. Out of sheer instinct I just keep raising my bidding flag until everyone realizes that continuing is a futile maneuver. The grumblings of the others barely even register as they step out of the room. I’m stupefied and in awe. She’s everything I never wanted. I have been married for eleven years and have two, very rambunctious little boys, ages five and seven. I am a full time restaurant manager and now, part-time Indie author. I enjoyed writing short stories and poems when I was in middle school, and won a few contests with my poetry, one of which was a published Christmas poem. I enjoy reading everything from dark erotica, to bio-tech sci-fi, to fantasy. I have both a romance and a fantasy book plotted out, and plan on releasing one in the first quarter and one in the second quarter of 2016.